De Sola Pate & Brown is a general practice, business law firm based in Caracas, Venezuela, the origins of which date back to 1944. Its unique and qualified team of attorneys and counselors offer clients an array of globalized legal services to help promote efficient and successful business ventures in Venezuela and its neighboring countries. De Sola Pate & Brown is an active member of a number of professional associations in Venezuela, Latin America, the United States, Europe and Asia, including two international legal networks with member firms in over seventy countries: the International Business Law Consortium and the L2B Aviation Group. Accordingly, De Sola Pate & Brown is one of the leading firms in Venezuela engaged in international business and cross-border transactions, having built a strong reputation after more than sixty years of experience in rendering personalized professional, ethical and cost-efficient legal services. De Sola Pate & Brown primarily works in the commercial and corporate law areas, and has particular strengths in the fields of intellectual property (including trademarks, patents and copyrights), foreign investment, technology licensing, franchising, international banking and finance, secured transactions, capital markets, taxation, complex contract negotiations, aviation, telecommunications, cyber law, environmental regulation, employment law, commercial arbitration and conciliation, civil and commercial litigation (including administrative litigation), and related areas. De Sola Pate & Brown also has accumulated experience in other legal areas over the years, such as insurance, basic industries, customs and international trade, energy, professional sports, entertainment and fine arts. De Sola Pate & Brown has a strong international orientation and traditionally most of its clients are multinational companies, international financial institutions and other foreign entities, principally from the United States, Europe, Asia and other Latin American countries. 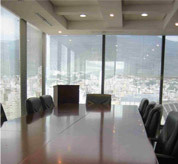 At the same time, the Firm represents a number of leading Venezuelan private sector companies and organizations. Additionally, the Firm enjoys close working relationships with many of the leading law firms around the world on behalf of the interests of our mutual clients. De Sola Pate & Brown presently consists of a group of talented attorneys, including partners, associates and counselors, in addition to a number of paralegals and administrative staff to better serve our clients. 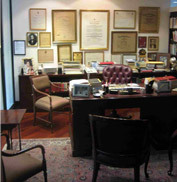 Most of our attorneys have, or are currently pursuing, post-graduate degrees in various legal specialties. Also, a majority of our attorneys have degrees from prestigious law schools in the United States (including Harvard, Columbia, Boston University, New York University, American, and the Franklin Pierce Law Center) and Europe (including the University of Paris - Sorbonne, University of Barcelona and the University of Pompeu Fabra), and more than half our attorneys have multiple post-graduate degrees. In addition to our professional practice, members of the Firm are active in multiple Venezuelan and international legal and civic associations, holding leadership positions in many of these. Moreover, members of the Firm have been, or continue to be involved in academics, give occasional lectures to business and professional audiences, and author publications on a broad range of legal subjects.